Alan Belsky, first time caller, long time lowercase Listener, submits this duct taped drama from the heart of Brooklyn. Discovered at the Branded Saloon on Vanderbilt, the keen observer will recognize early signs of distress with the frayed uppercase i in BICYClE, which was likely first written as a Y. By the time he got to the second C, the author must have seen the writing on the wall, and resorted to the lowercase L squeeze technique. Bonus points for the overcompensatory uppercase L in LandLord. 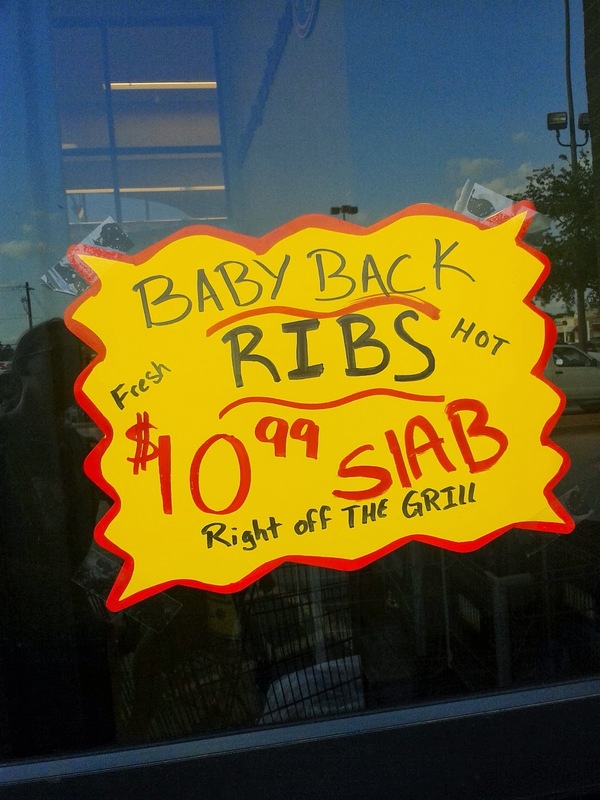 Nothing sounds more appealing than a Fresh HOT SlAB of BABY BACK RIBS Right off THE GRILL, all for just $10.99! Leslie in Denton, Texas discovered this mouthwatering deal at the local Kroger, where, she explained, you could watch them GRIll the SlAB right in front of you. I'm going to let those weak L's in GRILL slide because they have hints of uppercase-ness. But SlAB? I knew the day would come. 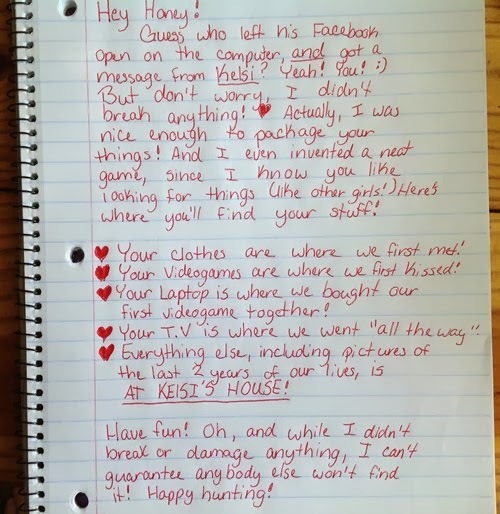 Lowercase L champions Jeremy Davis and Gary Chapman share credit for reporting this breakup letter that went viral a few months ago. While I maintain the belief that every one of these snarky viral letters is a fake, the lowercase L AT KElSE'S HOUSE is real. So, "Honey," you are better off without her. Gary Chapman, one of the keenest observers in the lowercase L business, makes his comeback with a real money shot. 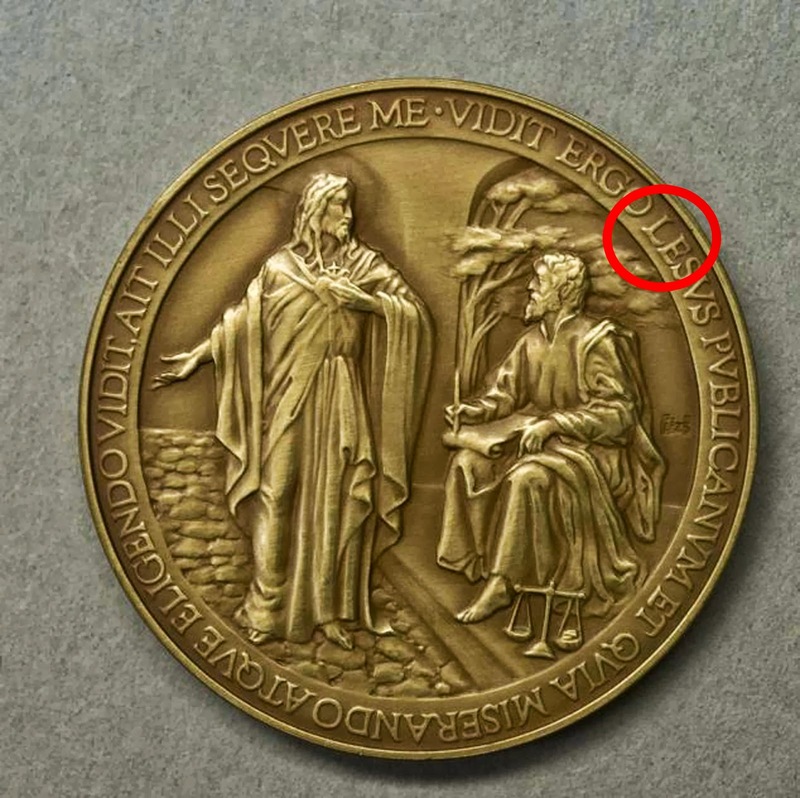 Upon reading the news, "Vatican misspells Jesus on Pope Francis commemorative coins: Embarrassing gaffe sees Latin inscription call the Christian Messiah 'Lesus'", you might wonder why a typographical error involving an uppercase L, apparently substituted for a J, would qualify for this website. Only the most experienced lowercase L hunters would recognize that this ungodly gaffe likely occurred when a maladroit minter saw Jesus's name written in Latin, IESVS or Iesus, and misinterpreted the uppercase i to be a lowercase L.
I blame the IllVMINATI for this, and all lowercase L dissent. The Torah, some bible scholars purport, is composed of several distinct writing styles, and therefore is believed to have been written by multiple authors. Such may be the case with this post for a 40in. 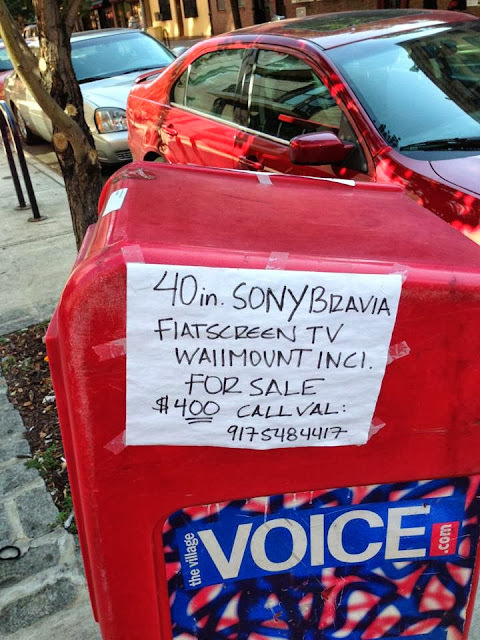 SONY BRAVIA FlATSCREEN TV, discovered by friend Amir Keinan at the corner of Carmine Street and 7th Avenue South in Manhattan. The first half of the post, ending with "WAllMOUNT INCl." seems to have been written by an author who either suffers from lowercase L dysgraphia, or is an anarchist who no longer wants to pay for cable and is finally catching up with Breaking Bad online. 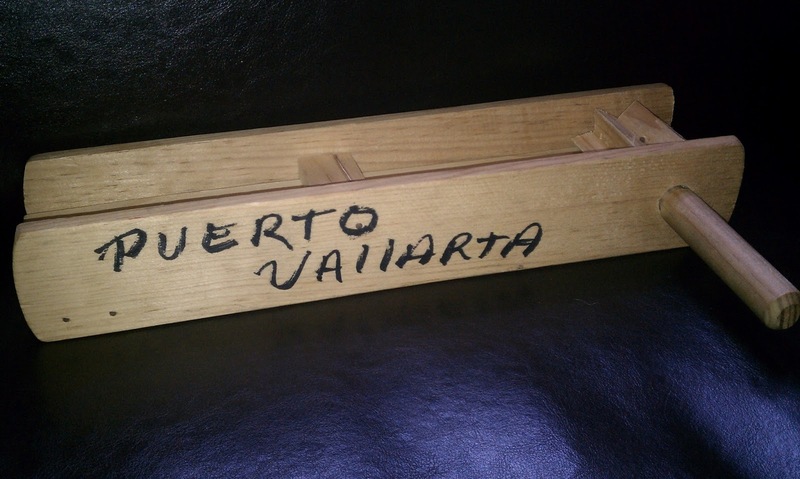 The second half of the post suddenly shifts gears with properly capitalized L's in FOR SALE $400 CALL VAL. I don't know, should we call VAL and ask her what's up? James Franco is popping up everywhere in the media. Apparently he was in ten movies in 2013 that I never heard of, plus a guest appearance on two episodes of The Mindy Project and a recent interview on The Howard Stern Show. And now, as Joe Clark points out, he's making his #lowercaseL debut via Twitter and Instagram! 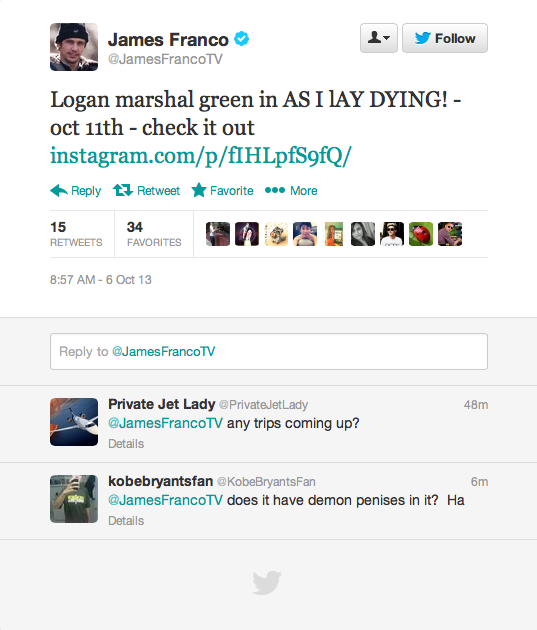 I suppose I'm looking forward to checking out "Logan marshal green in AS I lAY DYING!" 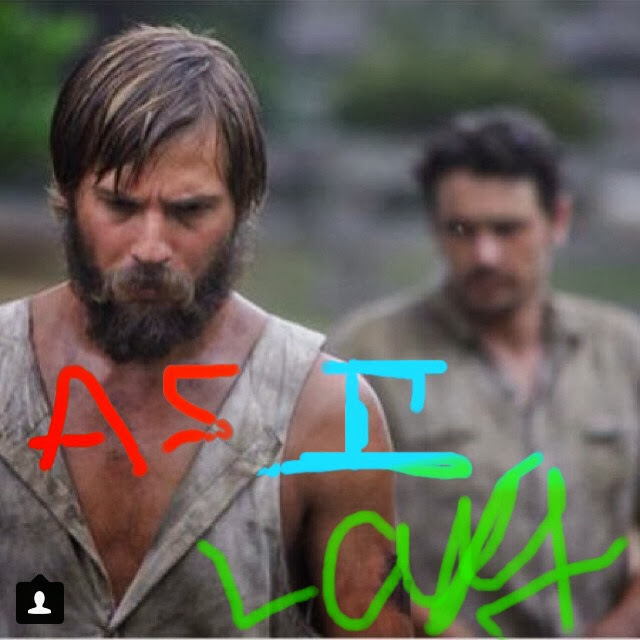 on October 11, as Franco suggests with a tweet, especially since I liked Marshall-Green as Charlie Holloway in Prometheus. I'm also looking forward to Franco issuing a public apology and explanation for how the HEll he managed to switch off CAPS-LOCK on his iPhone mid-Tweet. Now I'm skeptical about the release date, too—he may have actually meant October LL, Roman numerals for 50+50, or October 100, which is not for a while. Fellow ROI (that's Roi, not R-Zero-lowercase L) Community member Shai Davis pointed out these unbalanced words of wisdom on the popular 9GAG photo blog. Does this count as a true example of lowercase L, Shai asks, even though the sentence contains only lowercase L's and lowercase i's, besides the other uppercase letters? YES! 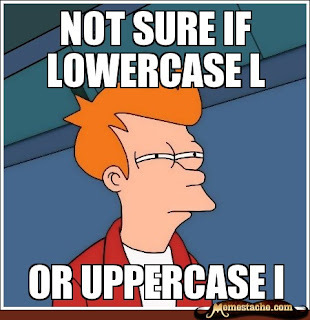 Especially since those lowercase L's are in different words than the lowercase i's. 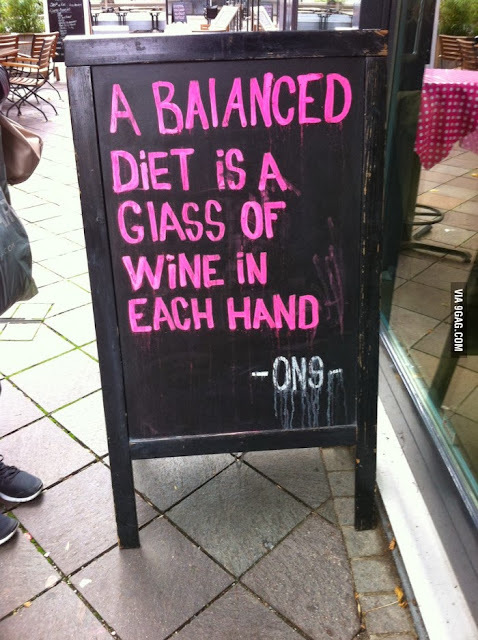 While it may be true that A BAlANCED DiET iS A GlASS OF WiNE iN EACH HAND, our disturbed scribe at (I think) Café ONS should also note that a balanced sentence contains appropriately capitalized L's and i's, especially when used in the context of all uppercase letters. 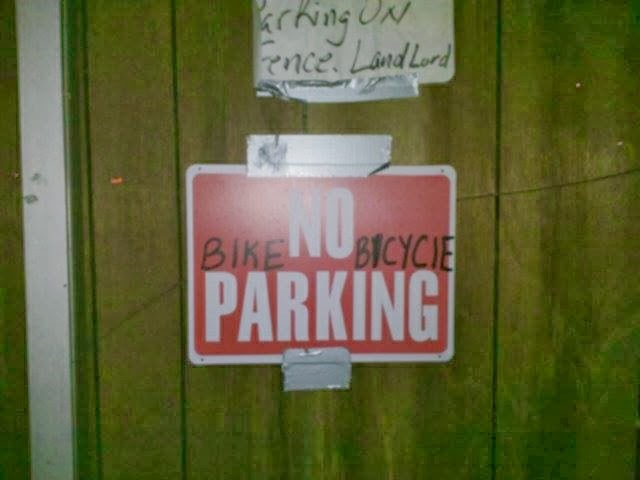 Perhaps our bibulous scribbler already had a glass of wine in each hand while writing this sign. I think collaboration earns Shai an ROI Micro Grant! An edit to graffiti on a wall in County Tyrone has become a Twitter hit. 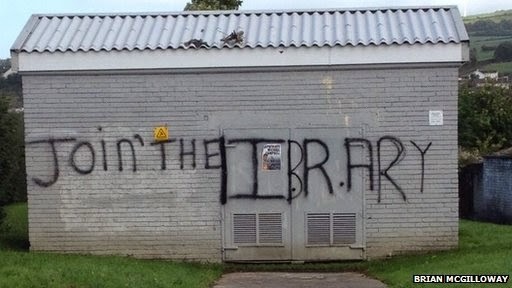 The graffiti, which was sprayed on a small building in Strabane, originally said 'Join the IRA'. A photograph of the edited graffiti was tweeted by teacher and writer Brian McGilloway. If the graffiti artist ever takes claim, will he be ridiculed for the embarrassing use of a lowercase L, or just defacing property? Once you know about the inexplicable misuse of lowercase L's within otherwise all uppercase words, you begin to see them everywhere. 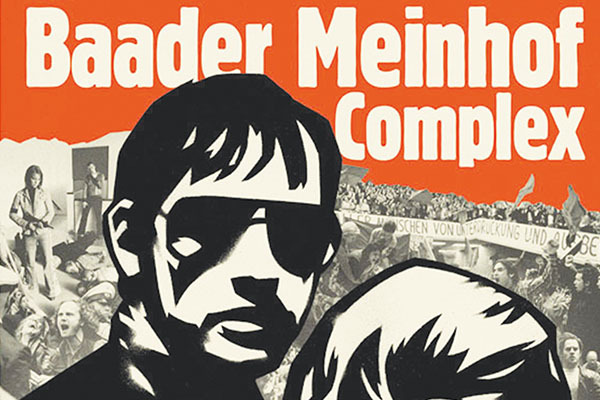 When that happens, you are experiencing “frequency illusion,” better known as the Baader Meinhof phenomenon. Paper reports that Afrika Bambaataa donated his vinyl to Cornell University Library's Hip Hop Collection. 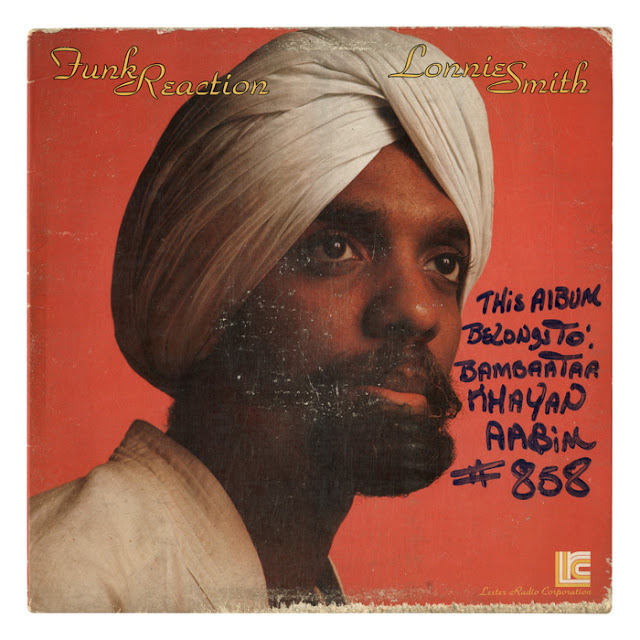 "THis AlBUM," Funk Reaction by Lonnie Smith, bears a funky inscription on the cover art. This is why vinyl is dead. 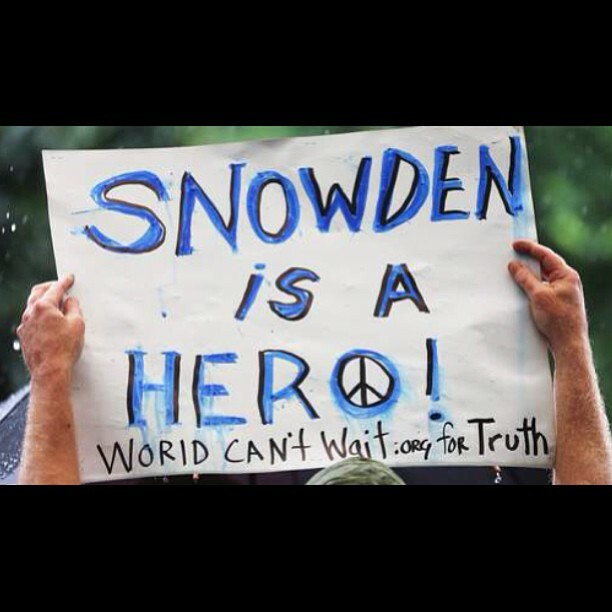 Some may consider Edward Snowden a hero, but whistleblower Adam Wells, known for his convincing digital image manipulation, is the real hero for coming forward and reporting this lowercase L Instagram. Apparently, the WORlD CAN'T Wait.org for Truth ... about poorly constructed URLs. Besides being another WORlD issue, this URL also contains an apostrophized CAN'T, when, technically, a URL cannot. Mamma mia! 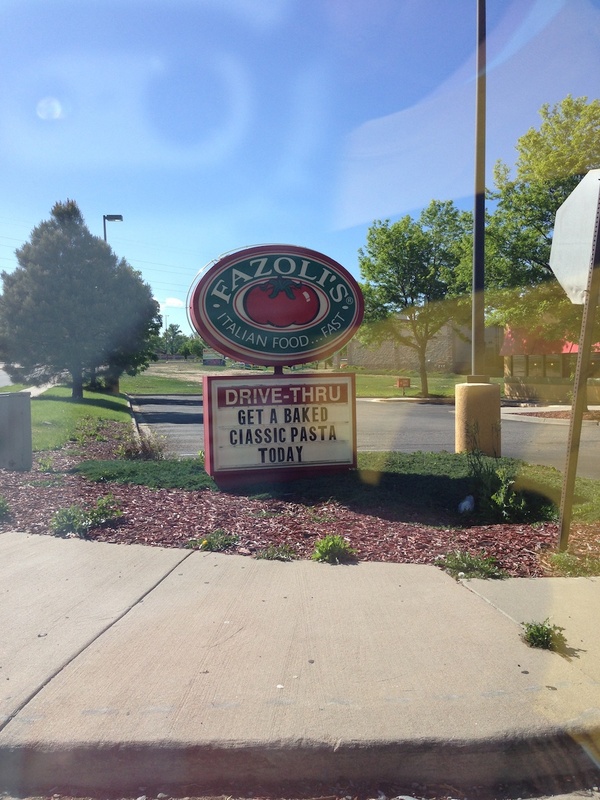 Ben Perry discovered this half baked Fazoli's sign advertising ClASSIC PASTA at the Aurora Mall in Aurora, Colorado. Maybe all the readerboard L's were lost during their infamous All You Can Eat Lasagna and Linguini Buffet of 2012. 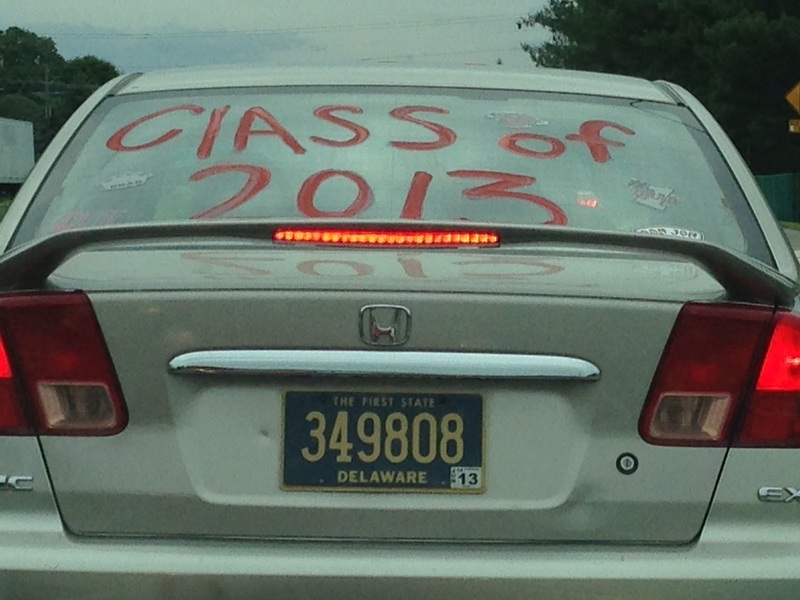 Phill P-T overcame road rage and managed to capture this photo of the decorated rear windshield of the car belonging to a proud graduate of the ClASS of 2013, likely from my alma mater, the University of Delaware, in Newark, DE. If UDel faculty had discovered this blunder, though, I believe there may have been reasonable cause to retract his degree. This is not a new phenomenon, folks. It is a tried and true tradition. GO HENS! 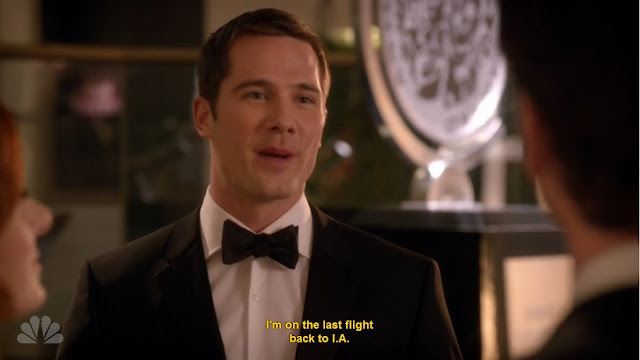 Tonight while watching the most recent episode of Smash ("The Tonys") on IMDb through Hulu, I spotted the strangest lowercase L. I have some hearing problems so I watch most shows with closed captioning, and there it was my first lowercase L, in the abbreviation for Los Angeles (or l.A.). My guess is that some intern is typing these captions in real time, hit that shift key a split second too late. Or he's actually heading to Iowa. Who is responsible for correcting typos and grammar on placards in the sculpture garden of the Pratt Institute in Brooklyn? I swear, it wasn't me. But I like his style. My favorite cartoon on the TeeVee, Futurama, has been canceled, again. But our lovable hero, Fry, will live on forever in our hearts, in reruns, and as the squinty-eyed doubter in the Not Sure If X meme. Thanks for the lead, Gary! Other variations can be found on QuickMeme. "I loves me Olive Oyl!" you might hear Popeye say, just before he walks into this olive oil store in Wilson, NY. 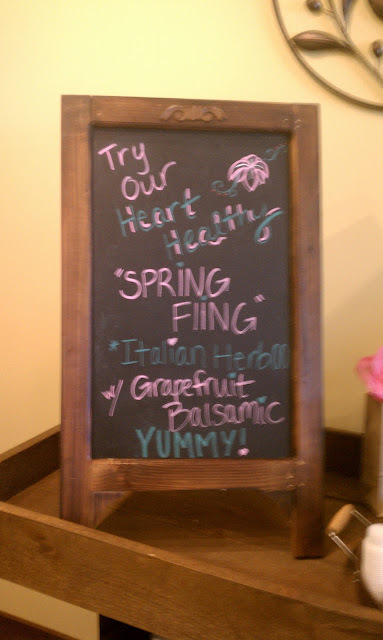 But he might march out to a different tune after seeing this SPRING FlING chalking. Which is exactly what contributor Lilit Marcus did, her hands trembling with fear and rage. This also explains the blurry photo of an otherwise pristine example of lowercase L insanity. 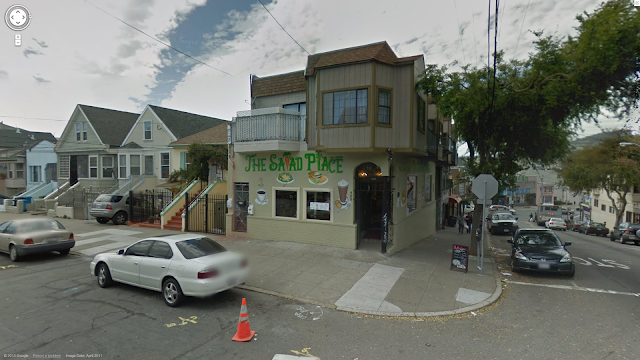 Go onto Google Maps and check out the corner of Persia and London in San Francisco's Excelsior district. There's a place called THE SAlAD PlACE, whose name appears thusly on a large hand-painted mural. The l's are a carrot and a celery stalk, but methinks that cutesy conceit would have worked far better had they made the other non-initial letters lowercase, too. So I followed up, and using the free 21st century spying software, I was able to find the offending sign in just a few seconds. 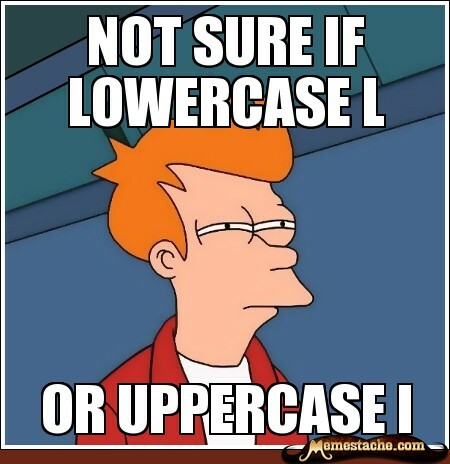 Thank you, UNKNOWN lOWERCASE L SOlDIER. In celebration of the Jewish holiday, Purim, Rabbi Matt brought a gragger to shul that he bought from a street vendor in PUERTO VAllARTA, Mexico years ago. 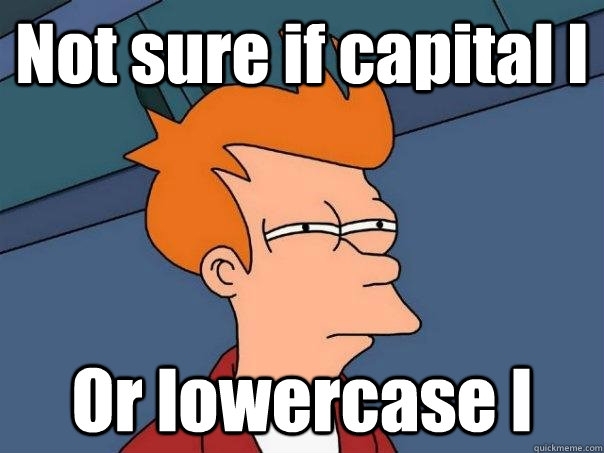 Today, for the first time, he noticed a particular deficiency in the uppercase L department. We cannot be silent when it comes to lowercase L misuse, it's time to make some noise about this important issue!